Our last visit to Harkola produced all the ingredients needed to make our own dukkah. 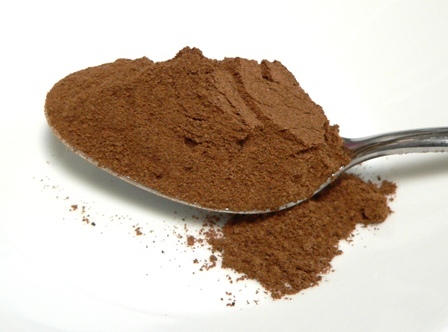 It’s a ridiculously easy recipe, and the advantage of making your own is that you get to eat it warm, freshly roasted and ground. It’s also massively cheaper than the little tubs they sell for $10 at the markets! 1. Fry the nuts in a heavy-based dry pan until they begin to colour, then add the sesame seeds and cook until just starting to turn golden. 2. Add the remaining ingredients to the pan and stir briefly over heat – maybe only 20 seconds or so – just to warm through. Be careful not to let them burn. 3. 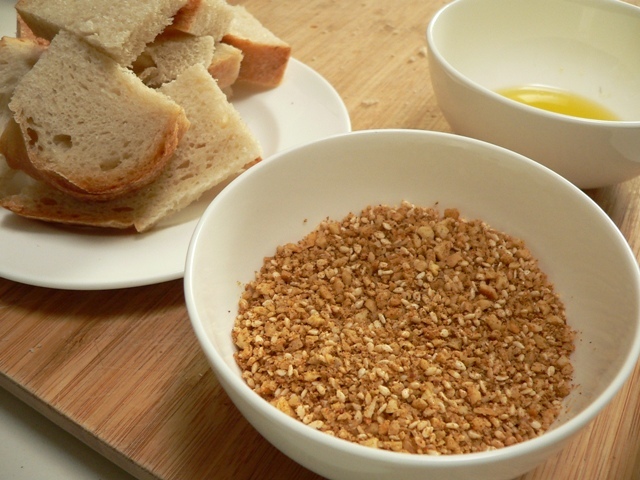 Tip the mix into the bowl of a food processor and blitz to the texture of coarse breadcrumbs. The sesame seeds will mostly stay whole and the nuts will crumble up. 4. Serve, preferably warm, with good sourdough bread and extra virgin olive oil. Dunk the bread in the olive oil, then dip it into the dukkah. Enjoy! This is the second time in my life I have come accross Dukkah and both were on a blog. I have yet to try but my cousin and I are planning a wine night soon…seems to me that this will be great added with our roasted garlic and brie cheese ensemble.